Knockdown rebuild is when your old home is demolished then we build you a brand new home, larger or smaller to suit your requirements, on the same site. There are numerous reasons why people choose to knock down and rebuild. You get to stay in the neighbourhood you know and love. The tree in the backyard that your children learnt to climb on. You can continue to shop in the same shops you have for years. You remain close to all the facilities you know and use. Save the hassle of moving to a new estate and starting over. One of the main reasons is the cost. Renovating is very expensive and in most cases far outweighs the cost of a new build. Matching your old home to the renovation is always a challenge, even to the most experienced trades person. Unidentified costs are always an issue. Having to compromise your new design to accommodate your existing old design. Timing is also a possible issue due to the nature of renovation being a lot slower with regards to the making good to old. With a new build the builder starts with a blank canvas and everything is new with no making good to old. Mr and Mrs G came to Berstan homes with a very common story; they did their homework and discovered some interesting facts about knockdown rebuild verses renovation. Home size including extension when completed 233m/2 or 25s/q. Quote for the above came in at $400,000+ unforseen problems. Design of a single level 249m/2 or 27s/q home including 4 bedrooms, 2 bathrooms, 2.5 car garage, alfresco dining entertaining area, walk in pantry, open plan dining and living areas. 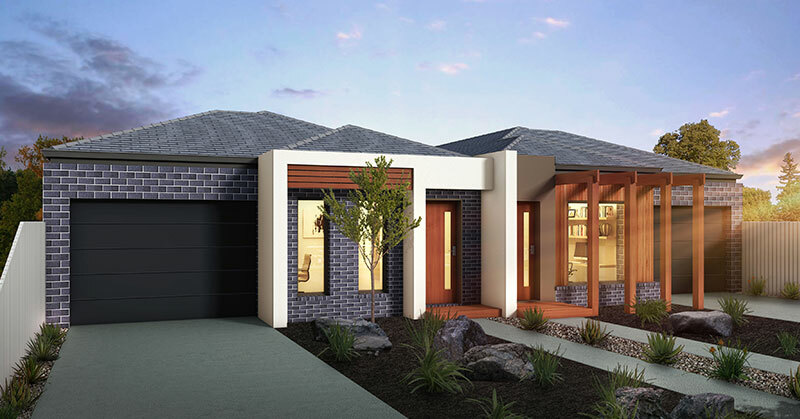 It’s simple a Berstan Homes knockdown rebuild is the smartest way to achieve a new home on your existing land, without the headaches. Step 1 – Have a look on our home selection page and find a design that suits or if not we will design one with your needs in mind. Step 2 – Call or email Berstan Homes and arrange a meeting to discuss your home selection options. Step 3 – Once a suitable plan is chosen or designed a estimate can be provided so you will know the cost. Step 4 – Entering into a pre works contract to enable Berstan Homes to draft a complete set of working plans, soil testing, engineering computations, feature survey, all in readiness for the building permit. Step 5 – Confirm bank finance or other through your own broker or Berstan Homes in house service. Step 7 – Once all of the above steps are completed there are several permits to be obtained by Berstan Homes then the knock down rebuild can commence. Step 8 – Most knock down rebuilds from the granting of the building permit take 6mths to complete a single level home with double story homes taking a little longer. Berstan Homes guarantee that our personalized service from start to finish is second to none. Call on now to find out more on 03 9841 9998.